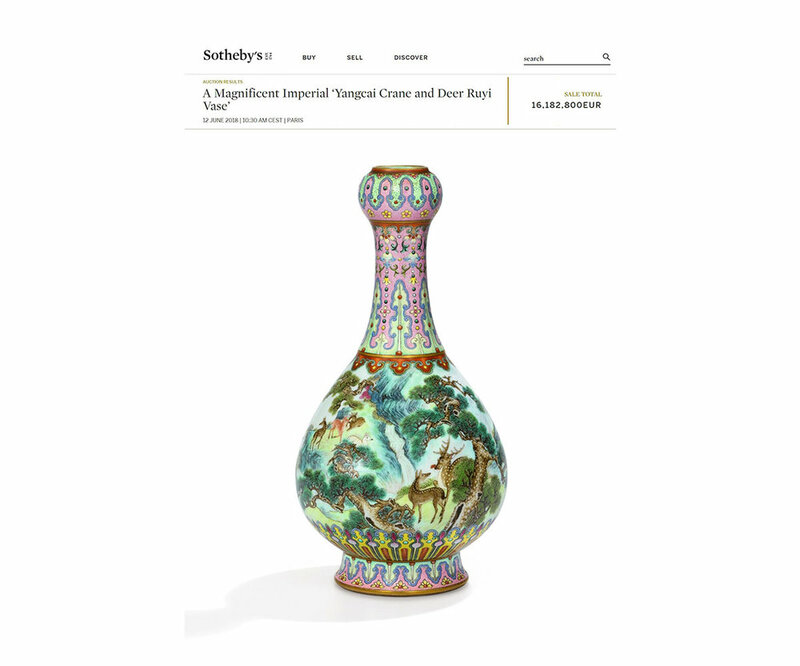 Hung Vase is made in the image of “A Magnificent Imperial ‘Yangcai Crane and Deer Ruyi Vase” which made the news when it was sold at auction by Sotheby’s for 16,182,800 Euros. 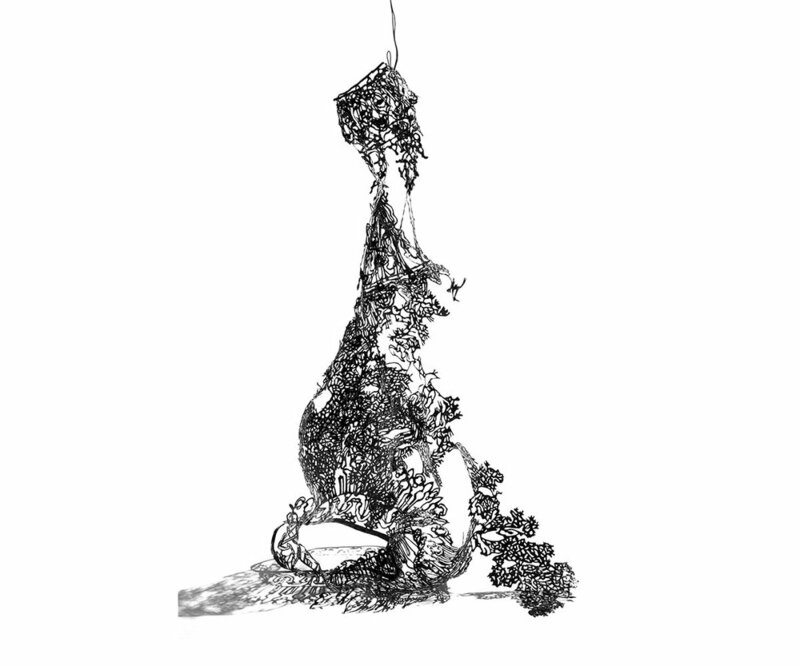 Hung Vase was drawn twice using acrylic paint - once on the front and once on the back of a sheet of vellum paper and then cut out by hand and assembled to be a three dimensional form. The vase is presented by being hung. 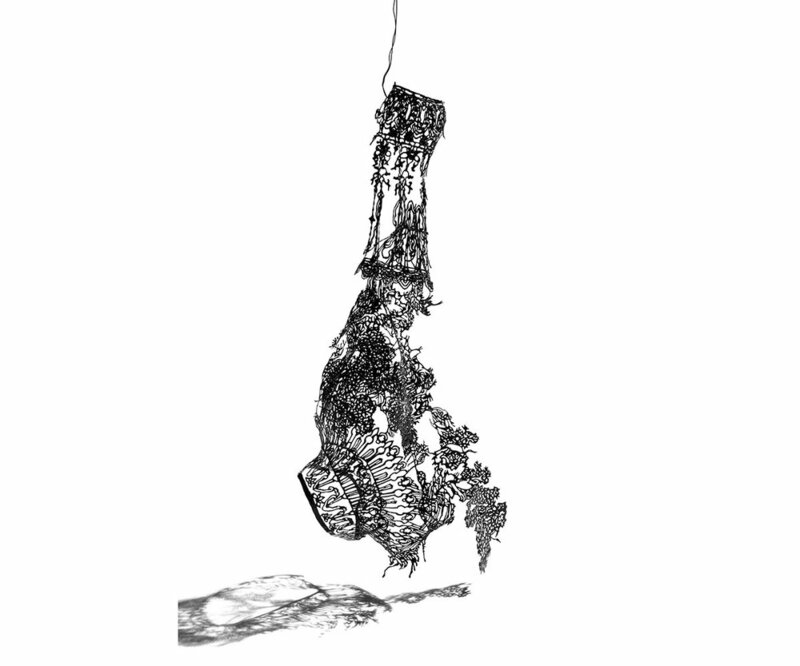 Hung Vase is the second in a series following Dropped Vase.